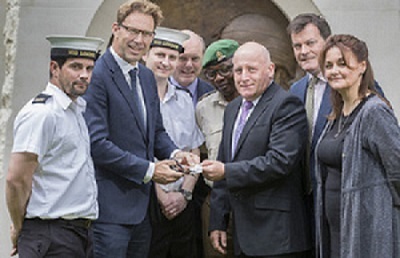 Service personnel leaving the Armed Forces are now able to keep their military ID, known as the MOD form 90, and use it in their civilian life, Minister for Defence People and Veterans Tobias Ellwood has stated. The move will help veterans maintain their emotional ties with the Armed Forces, and to be identified easier as veterans in their day to day life. Veterans will avoid lengthy checks to identify themselves when accessing government and third-sector support. The corners of the military ID will be cut to show the card is no longer valid. This is to ensure security at bases and other sensitive sites. This move is part of a wider government review of veterans’ policy and provision. A new veterans' strategy will be released in the autumn. Minister for Defence People and Veterans Tobias Ellwood said: “Our Armed Forces give their all to keep this country safe and leaving the military can be an emotional time.